Mid-Tennessee Bone and Joint is proud to have three expert physicians on staff treating a wide variety of issues that can cause back pain – Dr. Doug Wilburn, Dr. Freddie Wade, and Dr. Erion Qamirani. Together, they have over fifty years of experience in spinal surgery and treatments. For any type of back pain that may affect you, we have the doctors to help. 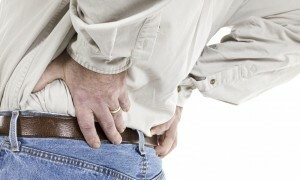 According to the Mayo Clinic, back pain is one of the most common reasons people go to the doctor or miss work. Some people try to outlast the pain, thinking they can’t take valuable time away from work or family. For others, the pain truly isn’t bad enough that it causes them to deviate from normal activities. The pain just becomes something they decide to live with, the duration of which depending on the individual’s tolerance. There are many reasons someone might have problems with their spine or back. A sudden injury, either from a fall or a car accident, or the natural process of aging can be to blame. Degenerative conditions, such as arthritis and osteoporosis, tend to lead to a gradual increase in pain as you get older. However, even patients with a genetic predisposition to back or spine issues can still have minimal problems by maintaining good posture, building strong muscles in the back, and maintaining strong abdominal muscles. Alternatively, there are some professions that may cause more incidences of back and spine pain. If you sit or stand for hours at a time or routinely lift heavy objects, you may be at a higher risk. This includes truck drivers, police work and firefighters, materials handlers, or anyone who does heavy mechanical work. Often you can’t change the specifics of your duties, but you can change how you perform those duties. Seats and chairs should provide good lumbar and pelvic support, back braces should be worn when lifting heavy items, and proper posture will help those who stand for long hours. Our physicians generally maintain a conservative approach to surgery, especially concerning matters of the spine and back. Our most frequent non-operational approach to back pain is exercise and physical therapy. A walking program can also provide some pain relief, usually combined with some type of anti-inflammatory medication or muscle relaxers. Other options include epidural shots or nerve block injections. Your doctor will review your personal medical history and your symptoms to determine which of these methods is best for you and your particular situation. The unfortunate truth is that most adults will experience low back or neck pain in their lifetime. In the majority of cases, the pain is self-limiting and resolves with conservative treatment. In some cases, surgery is the best bet for gaining pain relief or increased mobility. Some conditions that produce a pinched nerve or a narrowing of the spinal canal may require surgery. Our surgeons routinely employ a variety of procedures, including decompression, fusion, and disc replacement. We also utilize minimally invasive spine procedures for those patients who we believe are the best candidates for such a procedure. Mid-Tennessee Bone and Joint is unique in that we are the only clinic in the area doing these types of techniques. Your doctor will help decide which method is right for you. After surgery, patients have a period of recuperation that can range anywhere from two to 12 weeks, depending on the procedure. Some pain is normal after surgery, but the inclusion of physical therapy and rehab can maximize improvements and speed healing. It’s generally recommended that patients avoid bending of the back or neck, or lifting more than 15 pounds in the first six weeks. When the patient feels up to it, walking is a great way to promote healing. Generally speaking, the better you take care of your back and promote a good core, the more quickly you will recover. Overall whole body health is also considered, with a healthy lifestyle including regular exercise and a walking program, stop smoking, and watching your weight. Occasionally, pain comes from different places. What you think may be a back problem could be related to your hips. Most pain felt in the posterior hip or buttock comes from the spine, while hip conditions such as hip arthritis usually presents as pain in the groin area. Pain from spinal nerve compression can also frequently present as hip pain. The good news is that the vast majority of back pain does get better with time and doesn’t require surgical intervention. For those few patients who do experience prolonged back pain, it’s best to get checked out to avoid the risk of causing additional damage to your back or spine. The spine surgeons at Mid-Tennessee Bone and Joint follow the latest treatment standards and procedures to ensure a high level of care for our patients. It’s no longer necessary to seek treatment outside of Columbia for spine and back pain. MTBJ also offers our own physical therapy suite downstairs in our building, making it very convenient for patients to stay local after their procedure. Our doctors coordinate with the physical therapists to devise a specially created care plan tailored just for you and your needs. If you’re experiencing back or spine pain that keeps you from being active and enjoying life, don’t wait to get it checked out. Knowing what to expect with any injury or other condition is important, and our physicians are available to guide you in making your health related decisions.